Especially in larger projects, setting up new GitLab projects from scratch can be a repetitive task. Often, there is a lot of configuration files and boilerplate required. We already have project templates, but these are GitLab-owned and cannot be customized (refered to as "vendor templates"). A solution to set up project templates based on actual GitLab projects is needed. 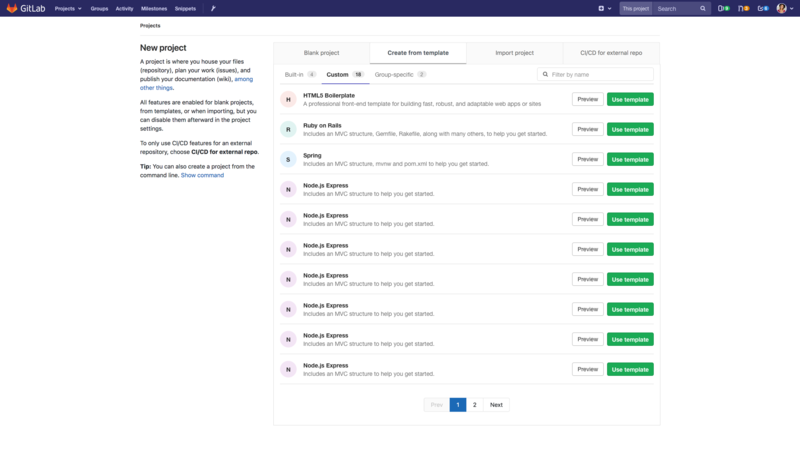 Let's add the option for Administrators to select one group in the GitLab instance that holds GitLab projects that are offered as project templates, when creating a new project. If a template group is defined, projects inside this group are made available as project templates when creating a new project.